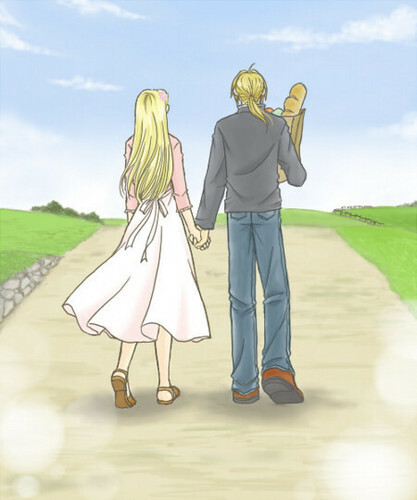 Through the Years. . Wallpaper and background images in the Edward Elric and Winry Rockbell club tagged: winry rockbell edward elric fullmetal alchemist edwin fma ed winry canon love pairing. This Edward Elric and Winry Rockbell fan art might contain mitaani, mji eneo la tukio, mijini mazingira, jiji eneo, and mijini kuweka.